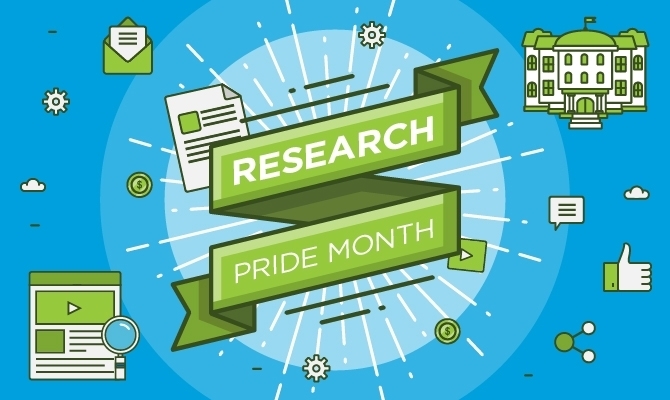 Editor’s Note: Apra is excited to celebrate the achievements of prospect researchers and all Apra members during Prospect Development Pride Month. We invite you to join in the celebrations by blogging and sharing your #ResearchPride. We will be posting links to new blog posts written by our members and other industry professionals throughout March. This article originally appeared in The Helen Brown Group blog. For the past two years, I've gotten more and more excited as March approaches. Here in New England, March is not a month that you tend to look forward to, weather-wise. There are no bank holiday weekends. And it's a loooong month. But if you're in prospect development, March is now a very special month. That’s because March is Prospect Development Pride Month, and boy do we have a lot to be proud of. We are a professional community of really smart people who get the opportunity to make the world a better place every day we go to work. We are actively motivated to learn something new every day. And we are generous in sharing tips, methods and resources with each other. I mean, really. Does a profession get much better than that? Sure, we all get bogged down in the day-to-day. But when you pull back to the 40,000-foot view, it’s easy to see that we are the fundraising intelligence engine that helps drive philanthropy. And that’s pretty cool. My rant struck a chord (I mean, 30 comments! Yow!). That’s when I figured out I was on to something — and knew that I wasn’t alone. So the second year it got a little bigger; and then last year we had 18 bloggers and countless tweeters, Facebookers and LinkedIn users — a whole chorus of proud voices in harmony — all sharing their pride stories. It was fantastic. And this year? I’ve heard from individual bloggers to whole Apra chapter boards that they are excited about this pride celebration. And Apra is joining in support by cross-posting articles in Connections, sharing on their social media platforms and adding info to the Apra website, as well! So there’s going to be lots to read, to share, to inspire you and — I hope — fill your chest with pride. Does it get much better than that? To kick things off this year, I wanted to tell you three things that make me really proud of our profession. I’m incredibly proud of how generous we are as a profession in sharing our skills and knowledge with each other. For example, the participation in last month’s Apra Chapters Share the Knowledge was amazing. Did you see all that stuff the chapters did? If you missed any of it — the presentations, the white papers, the twitter talks and more, just click here to take a look and see what you can still take advantage of. You don’t even need to be an Apra member, which just slots in perfectly with the spirit of generosity. As an added bonus, Apra is making available, for free, the Best of Connections 2016, a curated assemblage of some of the most popular articles from Apra Connections last year. The second thing I love is the creativity in our profession. It just constantly inspires me. This section is going to fill out over this month with links to all of the clever things that people are doing for this #ResearchPride month. But just to give you some inspiration, so far I’ve heard people mention that they’re going to write blog posts, host an Ask-A-Researcher open house, and spread out a coffee-tea-and-cake meetup morning for their development team (now that’s a great idea!). As for me, well, it didn’t quite make it chronologically into pride month, but I’m going to be part of a NEDRA-sponsored career-day panel at Simmons College early in April to help share how awesome our profession is. Because, if you’re like me, you fell into prospect research; now I want to help spread the word so that students can purposely decide they want to be part of this! Philanthropy — and its importance in American society — is getting chest-swelling recognition in a major way. I think this is just a huge shot in the arm for our profession. Because, for me, when the philanthropic sector is recognized as helping to strengthen our country, each individual cog in the philanthropy machine should take pride in that. We helped build that. You and me. #ResearchPride isn’t just pride in our specific profession. It’s also our pride in what each of us does that helps our organization succeed. It’s pride in what our organization does to improve the part of the wider world that it sets out to. And how that changes — and improves — our society. All of us are enriched by philanthropy, and it’s wonderful to know that our proudest moments are now on display in glass cases at the Smithsonian! I really can’t wait to see it. As the exhibit grows, matures and evolves, how exciting will it be to see all aspects of fundraising — including the role of prospect development professionals — being featured and honored for the part we play? Because you know that the curators are going to want to provide a complete picture of everything that helps define what makes philanthropy work in America. As museum curator Bonnie Lilienfeld says, philanthropy is "[t]his idea that we come together in a crisis, we come together to take care of each other, we come together to get things done." That sounds a lot like prospect development professionals to me. And you know that recognition is coming, because I have evidence we're hitting the mainstream. I was watching a TV show this past weekend, and one of the main characters was stopping by her kid's school when she said to the person she was with, "I'll be there in just a second. I have something I need to drop off at the development office." My jaw dropped. That was the first time I'd ever heard those words on a TV show. Definite “wow” moment. What's your plan for the month? During Prospect Research Pride Month, we come together virtually and in person to celebrate our role in philanthropy and to share the importance of our work with others. We use this time to educate and advocate with eloquence, humor, cake and creativity. And that’s something to be really proud of. I can’t wait to see what this month will bring! 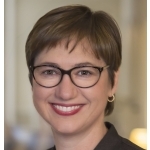 Helen Brown is president of The Helen Brown Group, a full-service prospect research consulting company in Watertown, Massachusetts. Helen is a former Apra and NEDRA board member and a past recipient of the NEDRA Ann Castle Award.